Winter is a way of life in Canada and people heartily embrace the holiday season, lighting up their homes and streets, holding vibrant parades and festive celebrations. 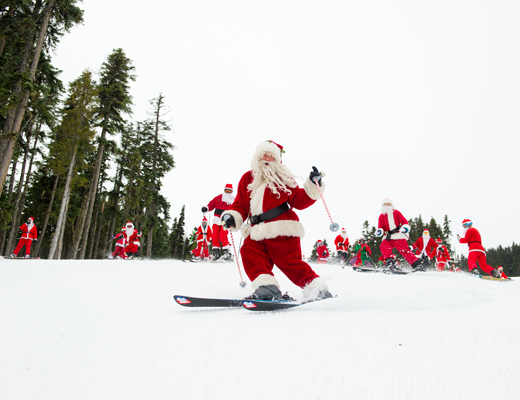 Here are some seasonal ideas to pass onto clients looking for a Canadian Christmas break, this year or next. The Northern Lights dance frequently in Canada’s night sky, but there’ll be a twinkling of a different kind in Ottawa during the 34th edition of Christmas Lights Across Canada. 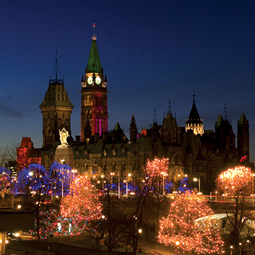 Buildings in the national capital will be illuminated from December 5 until January 7, lighting up the downtown and historic facades on Parliament Hill. The colourful event includes a 13-minute multimedia show — inspired by the country’s climate, culture and nature — projected onto the Centre Block, the home of Canada’s Senate and House of Commons. In town, The Ottawa Farmer’s Christmas Market runs throughout December, featuring over 120 vendors selling locally produced food, arts and crafts. Québec City exudes a special charm during the festive season. Its cobblestone lanes, some of the most historic and striking architecture in Canada, and near-guaranteed fluffy white snow offer a special magic at Christmas. Seasonal decorations adorn lanes in the historic Petit Champlain district while gifts and tasty Yuletide fayre are on offer from the wooden huts of the city’s German Christmas Market. For thrill-seekers, suggest the speedy toboggan run at Dufferin Terrace, below the grand Fairmont Château Frontenac hotel. Alternatively, rent skates at the Place D’Youville. The rink lies between the Palais Montcalm, Capitole Theatre and Saint-Jean Gate, a celebrated part of Quebec’s fortifications. Kitchener, less than 90 minutes’ drive west of Toronto, is so Germanic it was even called Berlin until 1916. 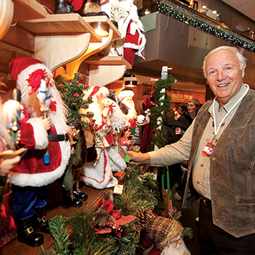 The region was settled by Germans and since 1997 has embraced that heritage during a Christkindl Market, the first of its kind in Canada. The 22nd edition of the popular festival takes place along king Street from December 6-9 2018, with more than 90 stalls selling German food and drink plus handcrafted goods. The programme of entertainment includes oompah bands, carol singing, dancing and puppet shows. For those staying in Toronto, the Distillery District will host the Toronto Christmas Market from mid-November until December 23. Vancouver is a city that shines at Christmas. The VanDusen Botanical Garden will feature more than a million lights between December 1 2018 and January 6 2019, while the family-oriented Stanley Park will be lit up by around one million lights strung all over one of Canada’s greatest green spaces. Also in Vancouver, the Carol Ships Parade of Lights will see festivities out on the water each night in December, with around 90 boats strung with some 100,000 lights. 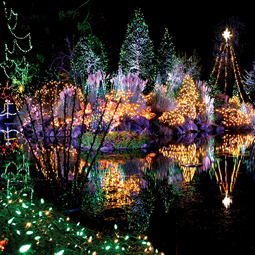 Also, view the annual Canyon Lights from the just-out-of-the-city Capilano Suspension Bridge, which also boasts the world’s biggest living Christmas tree, which stands a whopping 153 feet tall. Have you heard of mummering? 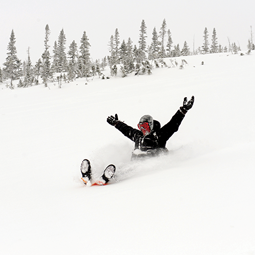 The tradition, practiced in Newfoundland and Labrador, has seen a resurgence in recent years. Locals pull on costumes and masks to disguise their appearance and visit neighbours’ homes. 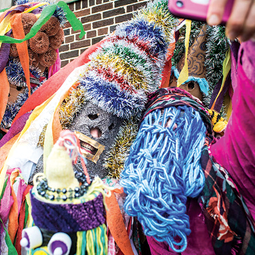 Mummering is associated with having fun, performing music and enjoying food and drink. Between November 18 and December 15 St John’s, the provincial capital, will be hosting the Mummers Festival, which includes a parade on December 8. Workshops provide opportunities to learn new skills such as crafting 'ugly' sticks, hobby horses and ribbon wigs. 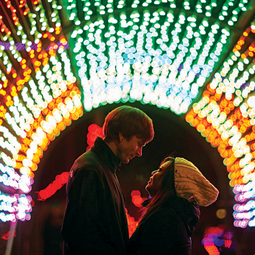 Each year, from late November to early January, the Calgary Zoo hosts a popular family event called Zoolights. In fact, spending a few hours at the zoo has become something of a tradition for Calgarians, who sip hot chocolate as they stroll past approximately two million glittering lights. There are over 200 displays, crackling fire pits and various fun-filled activity zones. Also, stop by the kids-only Elf’s Toy Shop, Candy Land, and something called 'Santa Vision,' which allows kids to speak directly to the main guy from the North Pole (visitors can even download their conversation with Santa and share it with family and friends). This year’s Zoolights runs from November 23-January 5.